Duffy has unveiled the artwork for second single, "My Boy," taken from her sophomore set, Endlessly (A&M Records), which came out last fall. The album debuted at #9 on the UK Albums chart, which, while not as impressive as her # 1 debut album, Rockferry, still was a pretty good show of support for the Welsh singer/songwriter. Over in the U.S. Endlessly was a bit of a flop, coming in at #72. For a brand new artist from across the pond, this might be halfway decent, but considering that Rockferry peaked at #4 on the Billboard 200 back in 2008, #72 is a big disappointment. While the critics have been all over the place with regards to Duffy's new record, on the whole I'm pretty happy with it. As much as I loved Rockferry, it was all a bit one note for me. I'm pleased to hear Duffy taking some risks on her new album, experimenting with a bit more pop/electro sounds on songs like the Stuart Price co-produced "Lovestruck" and on "Girl." Single #2, "My Boy," was co-written and produced by Albert Hammond and is due out in the UK on March 14th and will be paired with an exclusive iTunes B-Side, a song called "Tell Me." The song features a rhythm section by the Grammy-winning hip-hop group The Roots. UK fans can also pre-order the song on iTunes HERE which features an exclusive remix by Tom Elmhirst. Check out the video for Duffy's first single off of Endlessly, "Well Well Well," which peaked at #41 on the UK Singles chart. Download Endlessly on iTunes HERE. After the MASSIVELY successful full fledged comeback last year, Take That is ready to release the second single off of Progress. While not REALLY a comeback, considering the band had released 2 albums since 2006 (Beautiful World and The Circus) Progress marks the return of Robbie Williams, who's been working on solo material since the 90s. Progress debuted at #1 on the Official UK Albums chart and quickly became the fastest selling album of the century and the second fastest selling album of all time. Written by the band and produced by Stuart Price (Madonna, Kylie Minogue, Brandon Flowers), the first single, "The Flood" debuted at #2 on the UK Singles chart. 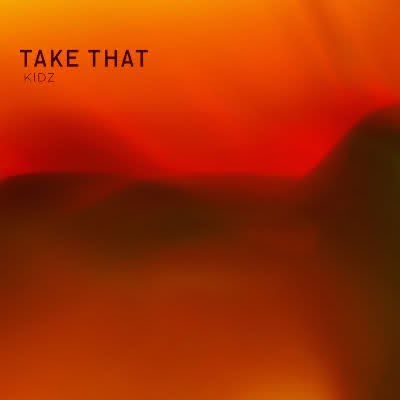 "Kidz," the second single lifted off of Progress will be released on February 21st in the UK and will feature a B-Side, a brand new track called "Rocket Ship." Can't wait! Check out the boys talking about the "Kidz" back-story below. Get ready for Priscilla Ahn. The brilliant singer/songwriter from LA just announced the release of her sophomore record, When You Grow Up, on EMI's Blue Note Records May 3rd. I'm all about giving new music a shot so when I heard that she was offering a free download of the album's title track, OF COURSE I jumped at the chance. The song is light and summery - perfect listening for a cold night by the fire. The song is very reminiscent of something The Bird & The Bee might release and I mean that in the best way possible. There's definitely some Inara George qualities in Ahn's voice that make her engaging and very very listenable. Go get your FREE DOWNLOAD HERE. 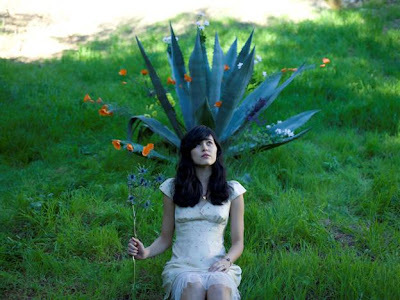 When You Grow Up is the follow up to Ahn's debut album from 2008, A Good Day. Produced by Ethan Johns (Ray LaMontagne, Laura Marling, Ryan Adams) the new album features songwriting collaborations from the ever-amazing Sia Furler, Eleni Mandell, Charlie Wadhams and...surprise surprise, Ms. Inara George herself. The album also features a cover of the Benji Hughes' "frolicsome love call" "Vibe Is So Hot." While I'm not familiar with her first album, listening to Ahn I was instantly smitten with her sound and her new album sounds simply magical. "Growth emerges as the central theme of When You Grow Up. The songs thread a loose storyline through life’s ups and downs with Ahn’s angelic voice narrating experiences beginning with childhood, progressing through cycles of romance and heartbreak, and concluding with the wise, reflective 'Torch Song.'" Check out the tracklisting below as well as songwriter credits. Check out her first album on iTunes HERE and make sure you follow the link above and get your free download of "When You Grow Up." Check out the video for "Dream" below.